On Sunday morning, instead of being greeted with a frenzy of tail wags, I was confronted by a rather dejected looking D sans his usual level of enthusiasm for his morning walk. D is my 6+ year old Labrador cross (we like to say the other half is hellhound cause he is large and black). 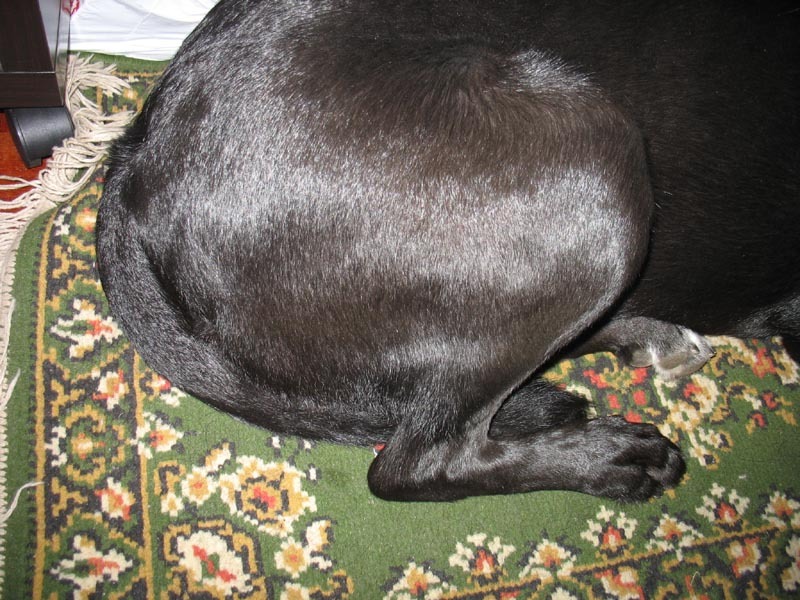 His tail was also uncharacteristically listless and tucked between his legs. It is an entity in its own right as it not only wags left to right like most dogs but it can also wag up and down and when he is really excited go round and round like the rotors of a helicopter. This is the tail wag that I’m greeted with when I come home from work and I’m kind of attached to it. He thumps it against walls, doors, cars, cabinets, people – anything that gets in its way. My D is an equal opportunity tail whipper. I tell people that the tail is the most dangerous part of this dog. 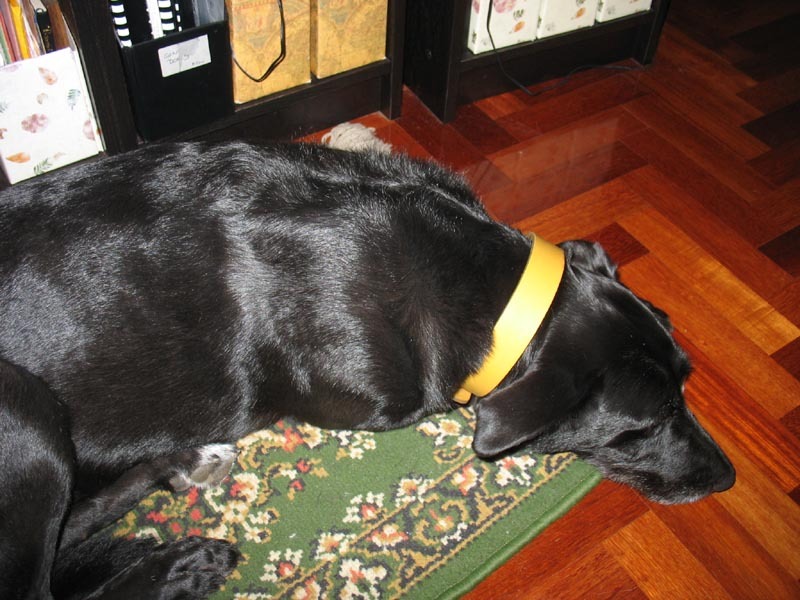 Although he perked up some after a walk, his tail didn’t show any signs of life and he kept it close to his body. After a little judicious examination, I decided that nothing was broken but he was obviously uncomfortable lifting it up. I adopted a wait and see attitude till the next day. To cut a long story short, there was re-emergence of life in his tail in the next 24 hours. By gradual degree, the tail is getting higher and higher and is starting to resume its full range of motion. In three days, he has gone back to beating his tail against all and sundry. Since I seem to feel his pain, I have been trying to insert myself between him and any hard objects.My well padded body must be easier on his tail then a hard door frame. I figure he must have bruised his tail but for the life of me can’t figure out what could have caused it. Maybe one of us sleepwalked and stepped on his tail . Stranger things have happened.